Situated in a well-established residential and commercial area, Ujwal residency offers comfort and premium services at pocket-friendly prices. The hotel staff is friendly and take care of different requirements and requests of the guests. The hotel has comfortable and unique rooms. 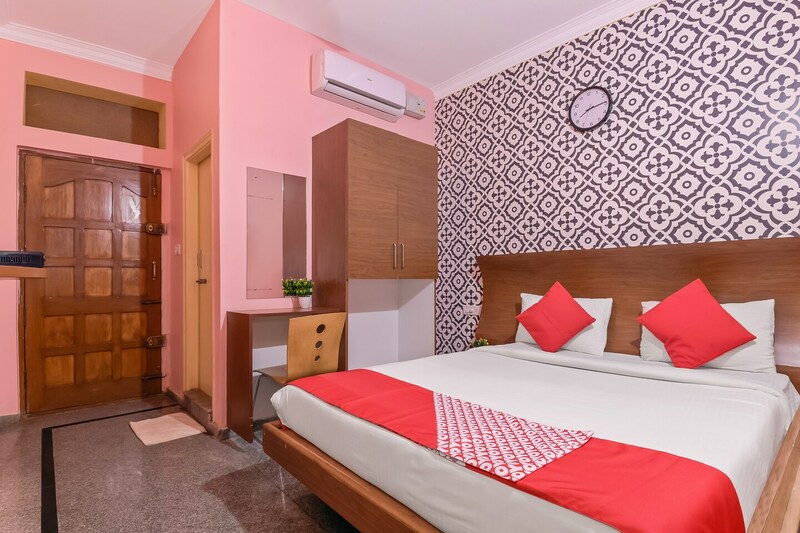 The rooms are well-equipped with various amenities. The rooms are well-furnished and the decor in each room has a vintage appeal. The well-lit room has the ease of home. Guests can avail the facility of free-wifi to stay connected with internet for all the latest updates. Other amenities at the hotel includes laundry service and card payment option. The Ujwal hotel is conveniently close to key attractions like Bangalore Palace, Orion Mall and National Gallery of Modern Art.